UNC Greensboro alumna Kelly Link ’95 MFA has been named a 2018 MacArthur Fellow. The prestigious MacArthur Fellowship – known as the ‘genius grant’– is a five-year, $625,000 grant given to individuals who show exceptional creativity in their work and the prospect for still more in the future. 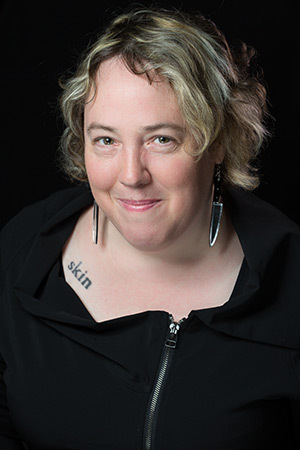 Link, a short story fiction writer, is the second UNCG alumna to win the fellowship in just two years. Last year, fellow UNCG alumna Rhiannon Giddens was named a MacArthur Fellow for her work as a musician and songwriter. A graduate of UNCG’s renowned MFA in Creative Writing program, Link is the author of the collections “Get in Trouble,” “Stranger Things Happen,” “Magic for Beginners” and “Pretty Monsters.” Her short stories have been published in The Magazine of Fantasy & Science Fiction, The Best American Short Stories and Prize Stories: The O. Henry Awards. In 2016, she was named a finalist for the Pulitzer Prize in Fiction. In an interview with UNCG Magazine in 2016, Link shared fond memories from her time at UNCG. Watch the MacArthur Foundation’s video interview with Link on the foundation’s website. To learn more about the MFA in Creative Writing, visit mfagreensboro.org.